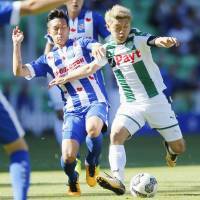 GRONINGEN, NETHERLANDS - Ritsu Doan was substituted in the second half after failing to make an impression in his FC Groningen debut, a 3-3 draw at home against Japanese compatriot Yuki Kobayashi’s Heerenveen on Sunday. Groningen came from 2-0 down at the break in the teams’ Eredivisie season opener, with Lars Veldwijk netting in the 53rd and Mimoun Mahi converting from the penalty spot for the second time in the 88th minute at the Noordlease Stadion. 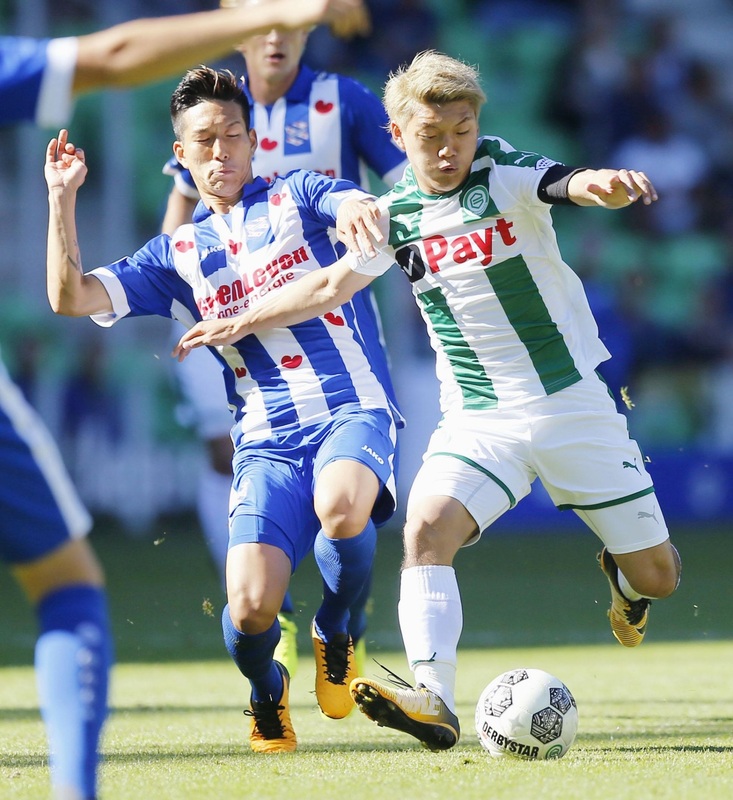 Doan, who moved from Gamba Osaka on a loan deal starting July 1, played until the 63rd minute but the 19-year-old was unable to provide a threat in front of goal for the Dutch first-division side. His most notable effort saw him awarded a yellow card for a tackle on Kobayashi. “It was fun. The atmosphere was great. My play wasn’t impressive so it can’t be helped (that I was replaced),” said Doan after the game in front of a crowd of 19,000.